My first experiences with learning as a student taught me that students who learned at a different rate or who had interests other than those presented in formal classroom situations faced the possibility of being left behind academically. At the same time, I understood that many of these students were very capable and motivated to learn but perhaps under different circumstances where different techniques were being used. I grew to admire those few teachers who recognized the potential of all students to be successful and in the way in which they crafted their instruction so as not to leave anyone behind. At the time, I had no plans for becoming a teacher, but thoughts of those teachers who had been instrumental in helping students attain academic success never left me. Later in life, I was able to match an interest in history with a growing interest in teaching, and I discovered that education was my calling. I have never regretted the decision to enter the classroom as a teacher and to eventually become an educational researcher. After graduating from Mankato State University, I became a teacher in Dubuque, Iowa. I was a high school history and government teacher and later a teacher of students with learning disabilities and behavioral disabilities. As I was looking for instructional materials and methods to help my students become better learners, I went to a series of workshops on learning strategy instruction. After I had taught some of the learning strategies, I realized that I had finally found an instructional model and materials that worked with students who struggled with learning. I began doing action research with learning strategy instruction in my classroom and shared my results with others. I also became a certified professional development specialist associated with the Center for Research on Learning where the learning strategies were initially developed. 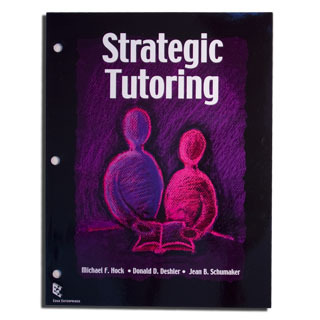 I had my first experience with conducting formal research when I was asked by Don Deshler, Jean Schumaker and Jan Bulgren to field test the Paired Associates Strategy in my classroom. After that field test study was a success, Don and Jean recruited me to the University of Kansas to direct the academic support program for student athletes. They supported my desire to pursue a Ph.D. in special education, and, later, I started to work full time as a researcher with the Center for Research on Learning. My current research interests relate to teacher-driven professional-development models, the school-reform process, and intensive literacy interventions for students who struggle with reading. I am particularly interested in developing programs for teaching reading skills and strategies to underprepared adolescents for supporting their development as independent learners. While I was directing the academic support program for student athletes at the University of Kansas, I noticed that although we were teaching the students the skills and strategies that they needed to succeed at the college level, many of them did not seem motivated to earn good grades and complete their college degrees. Their ideas focused on becoming professional athletes, and they viewed college as an unwanted, but necessary, steppingstone to the pros. I knew that the very large majority of them had no chance of ever reaching the professional ranks, and I wanted to help them open their minds to other possibilities for their futures. 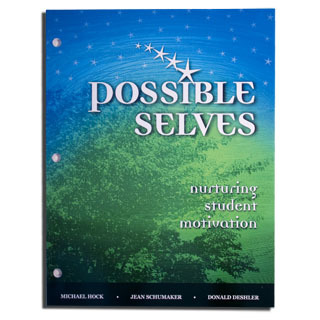 As I was researching possible options for programs for motivating these students, I came upon the concept of “possible selves.” Possible Selves is a concept that was first introduced by Hazel Markus of Stanford University. The basic notion associated with this concept is that most people have visions of themselves in the future. Once these visions are clearly articulated or surfaced, they can be motivational. That is, people will strive to attain these visions of what is possible for them while avoiding what they don’t wish to become. The Possible Selves program is designed to open students’ minds to the wide variety of possible futures that they might experience, including the futures that they dream about, the futures that they expect, and the futures that they fear. I reasoned that joining the professional ranks in a sport might be a “dreamed about” future, but that there were other possibilities that the students should be considering. 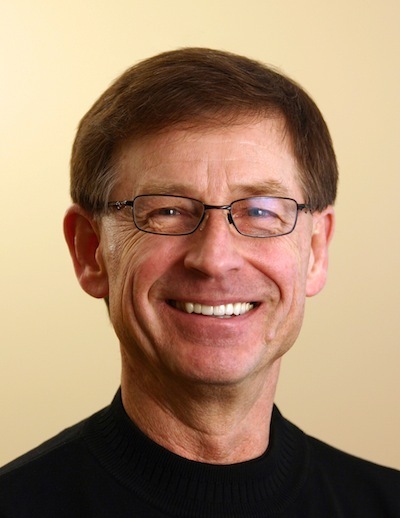 I worked with Don and Jean to develop a program that could be used with the student athletes to put them in touch with their possible selves beyond the athletic domain and then broadened the program to apply to younger students as well. The Possible Selves Program has now been tested with students at the elementary, middle-school, high-school, and college levels and has been successful at all levels. As a result of the program, students set more goals for themselves in many more areas than they do before they participate in the program, and they achieve more success within educational settings than do students who do not participate in the program. Teachers and students rate the Possible Selves Program highly. The program has been adopted as a part of two adolescent literacy programs that are being used nationally.